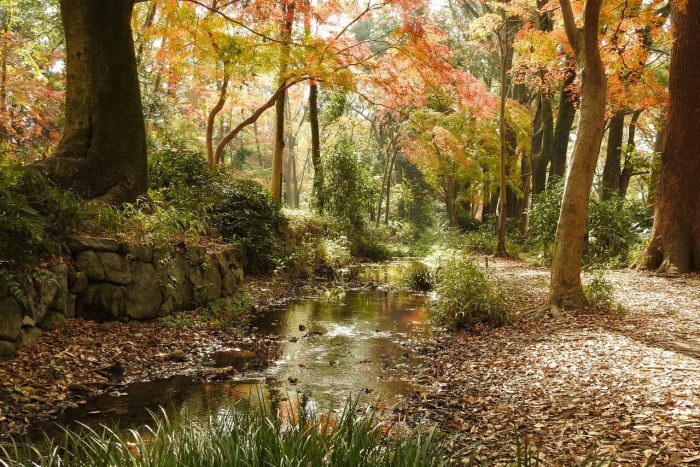 A GORGEOURS BANQUET ON SPECIAL DAYS, KYO-ZUSHI | Why KYOTO? 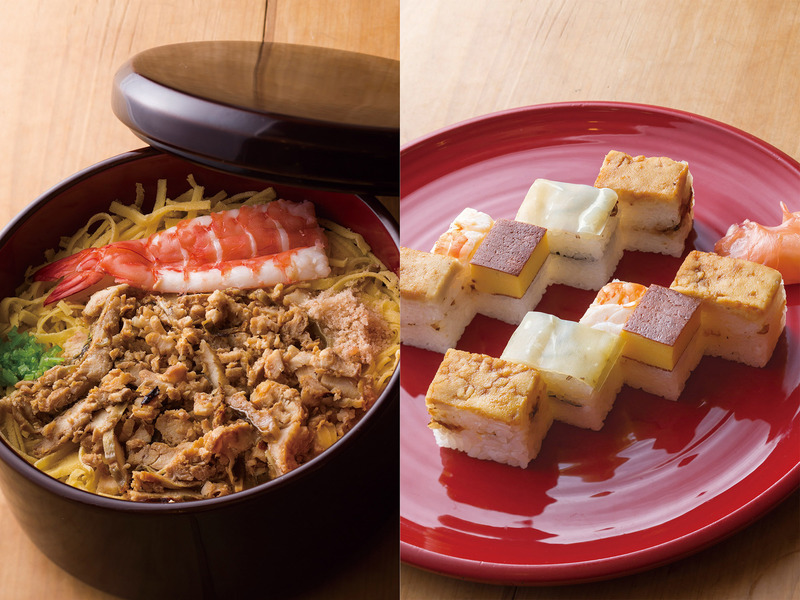 When you think of sushi, raw fish on top of vinegared sushi rice most certainly comes to mind. This type of sushi, called nigiri-zushi, is the most well-known. 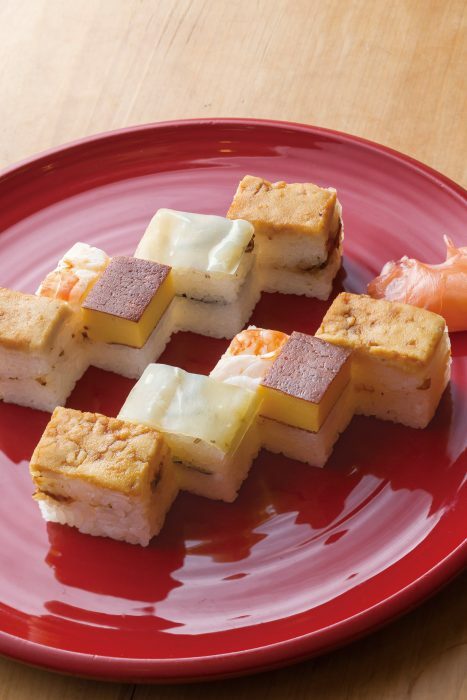 However, there are more varieties of sushi in Japan. How much do you know about sushi, the dish that has captivated the world? 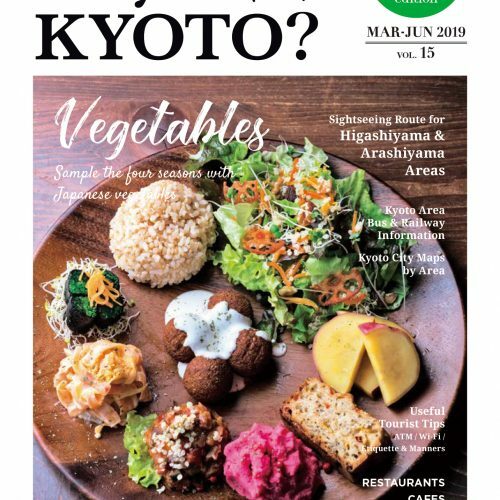 What is special about Kyoto’s sushi is that the vinegared sushi rice is sweet and uses a lot of sugar, so the flavor does not change over time. 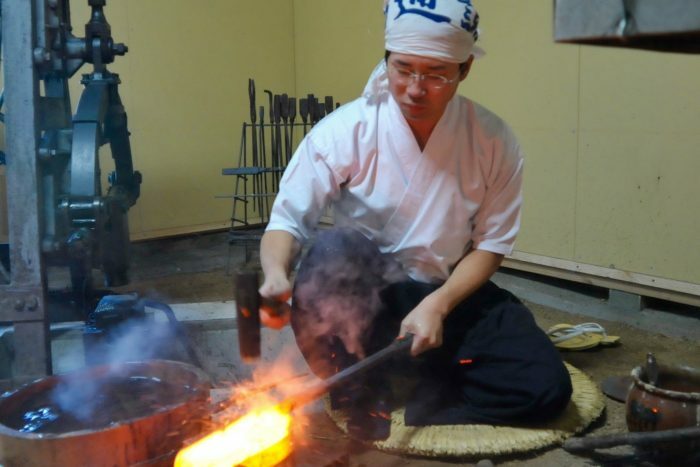 The fish used is pickled, boiled and grilled, so it takes time to prepare. 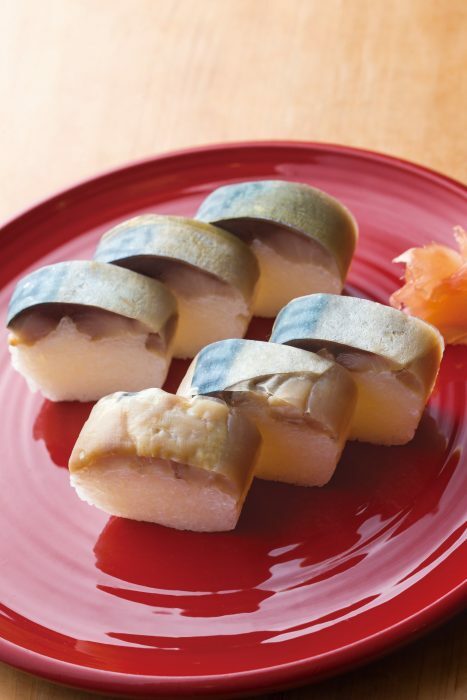 The restaurant HISAGOZUSI has become known as the place to go for this style of sushi, known as Kyo-zushi. 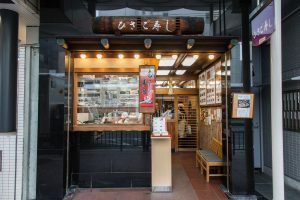 The restaurant has carried on for three generations, and you are able to watch the chefs making this traditional sushi through a glass window. 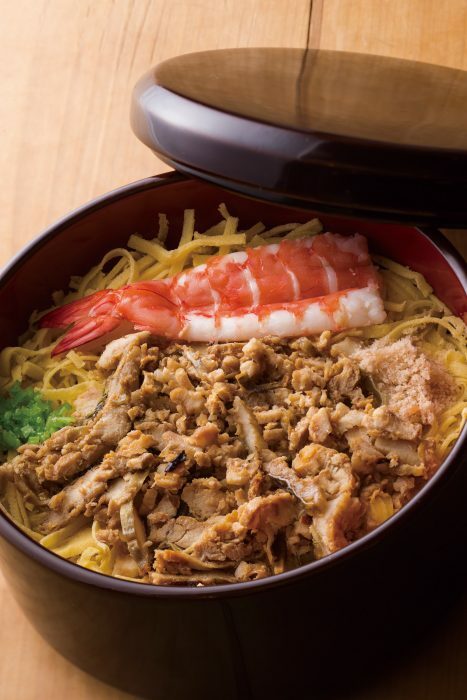 The pride of the restaurant is their well-known chirashi-zushi (also known as “scattered sushi” or “unrolled sushi”), consisting of grilled conger eel, minced shrimp over rice, dried shiitake mushrooms and more, gorgeously topped with thinly sliced pieces of omelet. 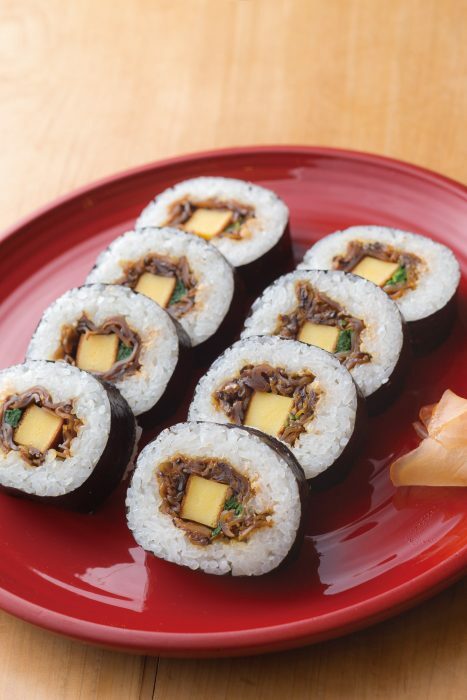 You can enjoy a plentiful selection of Kyo-zushi, including mackerel sushi, often found in banquets on days of celebration in Kyoto, boxed sushi topped with conger eel and mackerel, sushi rolls wrapped in seaweed, as well as the traditional nigiri-zushi. 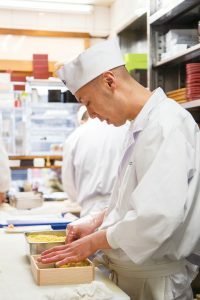 All of the sushi is made by hand piece by piece, so you can feel tradition and heart in each bite.